The Obama administration on March 14 announced the final step to privatize oversight of the Internet’s core systems. While on the surface it appears the Internet is moving toward a more independent model, however, the changes could allow authoritarian regimes in China and Russia to gain stronger influence over the global Internet. The Internet is based on a multistakeholder system, managed mainly by private companies and NGOs, without government influence. The United States has upheld this system, despite pressure from foreign governments to change it. Under the recent announcement, the United States will relinquish oversight of the Internet Corporation for Assigned Names and Numbers (ICANN) when its contract ends in fall 2015. ICANN manages several core functions of the Internet, such as assigning domain names for websites. The announcement came from the U.S. National Telecommunications and Information Administration (NTIA). Republican figures are warning against the move, arguing that without U.S. oversight of the Internet, the openness of the Internet may be threatened. “While I certainly agree our nation must stridently review our procedures regarding surveillance in light of the NSA controversy, to put ourselves in a situation where censorship-laden governments like China or Russia could take a firm hold on the Internet itself is truly a scary thought,” Sen. Tim Scott (R-S.C.) said, according to Politico. 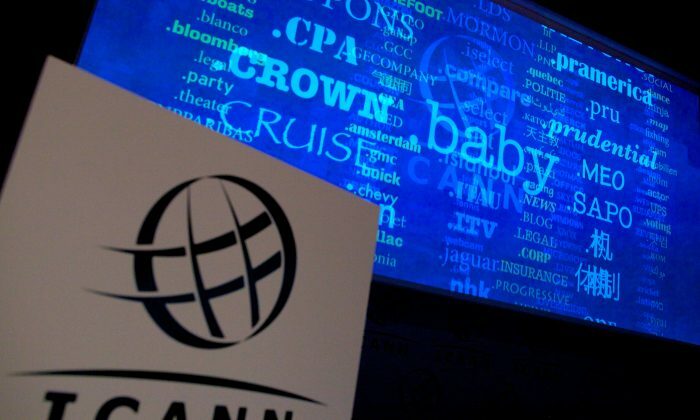 Although the United States relinquishing oversight of ICANN is now becoming a partisan issue, guarding the Internet from the influence of foreign governments has bipartisan support. Resolutions were passed by both the Senate (S.Con.Res. 50) and the House (H.Con.Res. 127) that aim to keep the global Internet free from the influence of foreign governments. These resolutions were mentioned by the NTIA in the recent announcement. The NTIA stated that it will uphold both resolutions, and will not accept a proposal that replaces the former U.S. role in ICANN “with a government-led or an inter-governmental organization solution.” It adds that it is required to “maintain the openness of the Internet” through the transition. The concerns expressed by Republican lawmakers are not unfounded, however. The core concern is that the International Telecommunications Union (ITU), which is under the United Nations, will gain control of the Internet. Both China and Russia play leading roles in both the ITU and the United Nations. During the World Conference on International Telecommunications in December 2012, where U.N. members under the ITU proposed changes to systems that govern the Internet, several nations made their agendas clear with respect to ICANN. Technology website Softpedia reported at the time that “with no warning, several countries have made a proposal which would make it possible to effectively control” systems currently managed by ICANN and other departments. ICANN, meanwhile, has been transitioning to a globalized model. Part of this has included opening global offices, including an office in Beijing in 2013. The United States relinquishing oversight of ICANN is being broadly painted as a move done in light of documents released by former NSA contractor Edward Snowden, which exposed spying activities of the NSA and U.S. allies. The changes, however, have been in the works since at least 1997. The U.S. government used to assume the roles currently played by ICANN, yet passed them to ICANN in 1998, as part of a move to establish the independent multistakeholder model for the Internet. The United States was reluctant to follow through with the plan completely, however, due to concerns mirrored by those now being expressed by Republicans.